The Rocketech from Anderson, aside from the Techzilla, may be their most popular bat. After several hours in the cage and on the field, as well as some emails back and forth with Anderson corporate, we are prepared to present our 2017 Anderson Rocketech Review. You may also find our 2017 Anderson Bat lineup helpful. Amazon Price Check the 2017 Anderson Rocketech. Recommendations for the Rocketech in the slowpitch and fastpitch bat space are similar. As a dual walled aluminum bat with an end load, the bat will find its sweet spot of hitters in those who prefer a bigger hitting bat with near perfect durability. Those who play a lot in cold weather will like the bat that much more as it has no risk of cracking like composite barrels. For aluminum, it has an enormous barrel. The dual wall design helps a lot with hand sting, too. 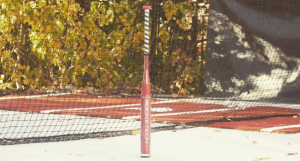 You may recall, the 2016 version in the fastpitch space won our best fastpitch bat in cold weather, and if we had to choose today, the 2017 Anderson Rocketech would win again. Those looking for a lot of barrel per swing weight should look elsewhere. As well, those who want maximum performance along the length of the barrel should probably lean toward a composite barrel. In fastpitch, the bat is released in a 31 through 34-inch length with a drop 9. The drop, you should know, is the numerical difference between the length of the bat in inches and the weight of the bat in ounces. For example, a 33-inch drop 9 will weigh 24 ounces. Such is the case with the Anderson Rocketech fastpitch bat. Slowpitch bats come in a 34-inch length. The weights are a 30, 29, 28 and 27 ounces. In fastpitch, the major upgrade is a more durable end cap. 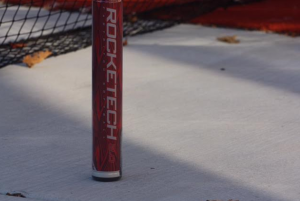 This reinforcement only adds to the already remarkable durability of the 2015 fastpitch Rocketech. 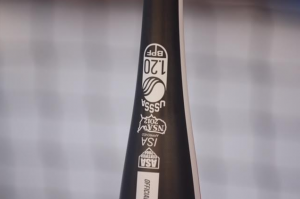 The slowpitch Rocketech is a brand new bat altogether. Really, there is no other old school Anderson bat this is designed after, in the slowpitch space. We suspect Anderson saw the success of the Rocketech in fastpitch and thought it would translate well into slowpitch. In the slowpitch and fastpitch space, we have yet to find a dual walled aluminum alloy bat aside from the Anderson Rocketech. 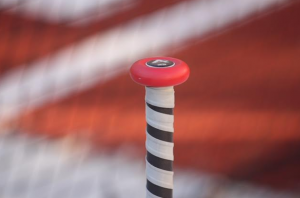 That means the Anderson Rocketech slowpitch is built like no other bat out there. If that is a good or bad thing, time will really tell. In theory, at least, it should be the most durable slowpitch and fastpitch bat on the market. Amazon’s pricing page is always helpful. As well, Anderson’s Rocketech page was referred to a few times during the writing of the above. A few vendors carry the bats. Check justbats.com or closeoutbats.com.